The paper's lead author Dr. Matthew Webb of the ANU Fenner School of Environment and Society said the logging of known and protected breeding habitats of the birds has continued. "There's a lack of political will on the part of the Tasmanian government to adhere to conservation plans and we've seen logging operations that directly contravene Forestry Tasmania's claims to maintain the integrity of the parrots' breeding habitats," said Dr. Webb. 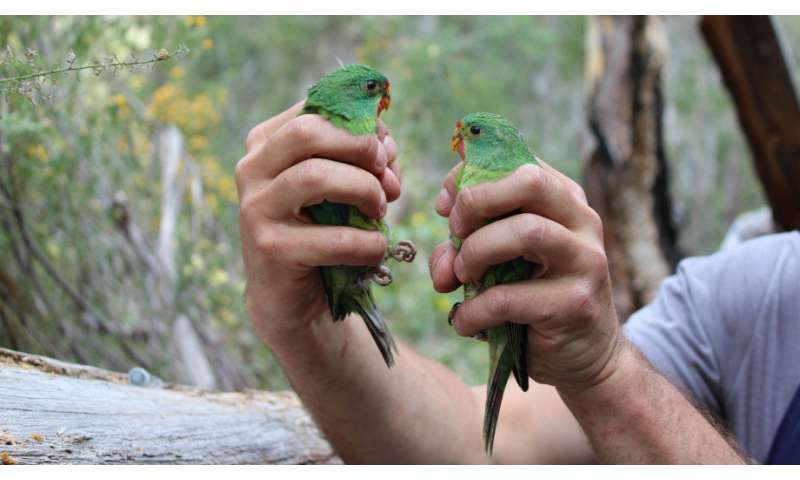 Dr. Webb estimated the number of Swift parrots to be somewhere between 1,000 and 2,000 but latest indications show further declines. Dr. Webb said there is an existing conservation assessment system in Tasmania that could, in part, achieve sensible outcomes for the species.